a single drop of rain is felt. 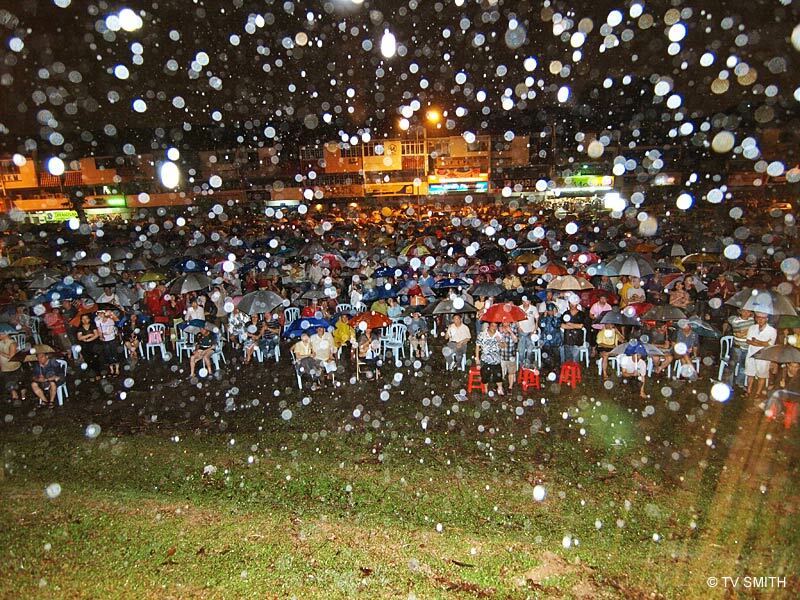 It is a Chinese thing :) Tonight, at an election rally in Taman Tun Dr Ismail, thousands of Chinese not only braved the heavy rain but cheered wildly as Gobind Singh Deo, Teresa Kok, Nurul Izzah Anwar and Raja Petra Kamarudin spoke. A journalist at the scene pointed out to me that it is also all the more unusual to see such big a turnout at an affluent area. camera and flash (like the audience) functioned without fuss.